ONSIGHT has been awarded a contract for operating the Flypack that will make use of three dedicated 3D camera rigs from 3ality Technica. The equipment will be used to produce live and recorded coverage of entertainment and sport events for Sky’s 3D channel. ONSIGHT’s CTO Richard Mills designed the System in conjunction with Chris Johns, BSkyB Chief Engineer, supported by Sony’s Professional Services division. This is the first commissioned 3D Flyaway constructed by Sony. Bear Grylls has returned to our screens with a new set of adventures, produced by Dragonfly Productions for Channel 4. Bear’s Wild Weekends sees him not only challenge himself, the crew and not forgetting the kit, but also two well-known celebrities. 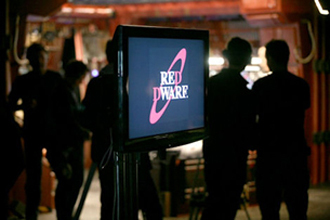 Red Dwarf is returning with their tenth series, Red Dwarf X, and ONSIGHT is delighted to have won the service contract for the full camera and post solution. We are providing cameras and accessories, DIT hardware, multi-platform editing, VFX management plus post and mastering. ONSIGHT is proud to announce a brand new DI Reference Suite, installed at their post production office in Soho. This state of the art facility includes projection from Barco and stereoscopic 3D by RealD to maximise large screen quality in both 2D and 3D. ONSIGHT is committed to high end finishing and providing services throughout the entire production process. 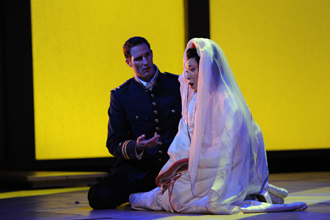 This unique room allows them to offer clients a true depiction of how the completed film or programme will look in a theatrical environment. 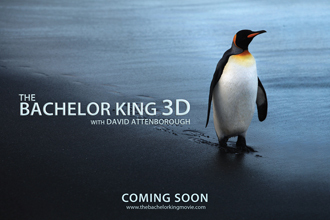 We congratulate Atlantic Productions and the teams involved in creating another stunning documentary – The Bachelor King 3D with David Attenborough. The project started some time ago and tells the story of a King Penguin’s life struggles and successes in the remote Sub-Antarctic. Shot on location in South Georgia, ONSIGHT embraced the challenge of designing a bespoke workflow and a compliment of equipment to suit the enormously challenging conditions. The Camera Rental department supplied cameras and accessories plus skilled crew. RED Ones and SI-2Ks were selected using 3Ality Technica Quasar and Neutron rigs for quality, flexibility and reliability the project required. Combined with Ultra Prime and Optimo DP lenses, the penguins’ world was filmed over 5 months. The small 3D crew, including DoP Paul Williams, were not short of roles or experiences as the shoot unfolded.